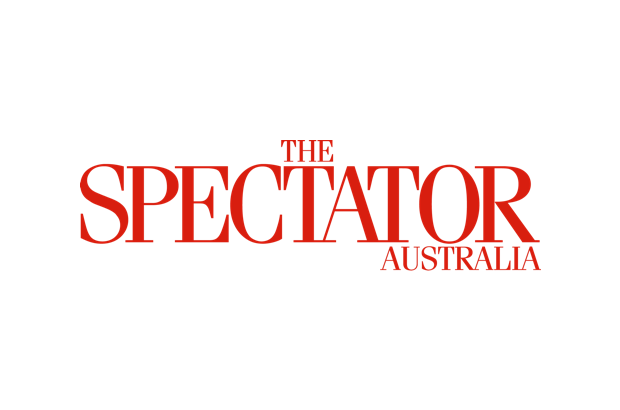 My esteemed fellow Speccie contributor Terry Barnes last week offered some advice to the federal Coalition based on his analysis of the recent election disaster for the Libs in Western Australia. So we read that Colin Barnett was pretty darn wonderful and deserving of praise but later on in the piece that the government he led was devoid of vision and drifted to defeat. It was big spending. It got no help from the Feds on the GST. It lost more than Labor won. What Terry gives to Barnett in the way of praise with one hand, he takes away fairly thoroughly with the other once it gets down to performance and those sort of measures. But that first part of Terry’s piece isn’t what irked me. It’s just polite to say a few nice things about a retiring premier. No, what really got my goat was the limp, insipid and wrong-headed advice Barnes doled out to Team Turnbull based on his analysis of the WA results. First off, Barnes is just wrong that the One Nation result was ‘dismal’. They are the third biggest force in WA, bigger than the Greens where they ran candidates. Sure, he’s right that One Nation was incompetent and bizarre, but the point is that it still did this well. Lord help us if they ever get a leader who shuts up about vaccinations and focuses just on immigration and repealing 18C. And come the Queensland election, where One Nation has troops on the ground, it is not going to be pretty for the LNP. Put it no higher than this. One Nation did better than the Greens. So how, precisely, does this WA result give Turnbull the ammunition Terry thinks it does to convince the million plus conservatives who fled last federal election that ‘the Coalition is their natural home’? I am a Del-Con through and through, but would never vote One Nation. Last election I preferenced Greens last, Libs second last, and Labor third last in the House (and One Nation fielded no candidate). So I held my nose and effectively went straight to Labor to get out the most left-leaning Liberal PM ever – for the greater long-term good. The disaster in WA only reinforces my view that Turnbull is the problem. I’m pretty sure most others looking at this through anything other than Niki Savva-tinted glasses would come to the same conclusion. Of course the whole point of downplaying One Nation is to sell the tired old theme that the Libs ‘must govern from the sensible centre-right’. But there is no awareness by Barnes that a centre-point is a moving target. Just by switching from Abbott to Turnbull back in late 2015 the Libs shifted the whole political spectrum in Australia to the left. They opened up space for Shorten to move left in a way he never could with Abbott as PM. So if you have moderately fixed principles, and are not some party political hack who puts party above all else, then this trite and insipid talk of ‘sensible centre right’ is just jargon. Same for the vacuous advice to the Libs to move ‘further to the Right but not too far Right’, which could have been taken from a US self-help book. It is meaningless unless you first set down what count as fixed points of principle for you – and that’s what Team Turnbull never does. No values. No fixed principles. No unbending commitment to free speech – heck, they think it isn’t important unless it creates a job (sort of like spending tens of billions on subs in South Australia). Here’s a key question for anyone thinking about how the Libs can turn their fortunes around. Do you think the post 2013 Abbott-as-PM incarnation of the Party was ‘too right wing’? Because I don’t. The good things it did, like stopping the boats, the free trade deals and jettisoning the carbon tax, were the right of centre things. The bad things – giving up on free speech, not taking on the ABC, raising taxes, the list does not stop there – were the lefty things it did. But Barnes does what so many political commentators in this country do and assumes that the Abbott-led Coalition was some sort of raving right wing – or too far right – party. By the standards of the UK, or New Zealand, to say nothing of the US, that is patently false. And that takes me to the final bit of advice Terry offers the Libs, which is shot through with equivocations. He says that a good place to start would be by ‘considering’ – not adopting, not demanding, not putting it to the Senate and daring them to oppose, but ‘considering’ – the recent Abbott manifesto he laid out at the recent launch of a book I edited, Making Australia Right (Connor Court). But that’s such a weasel-words way of putting it that it makes you want to run out and vote for Trump. And then Terry finishes by suggesting that Malcolm bring Abbott back into Cabinet. Well, again, surely it’s too late for that? That’s not going to bring me back into the fold and I doubt it will win over other conservatives either. Moreover, at this stage Tony would be crazy to agree. Malcolm made his bed, one 54 bedwetters delivered to him knowing full well what they were getting. Until the party room kicks Turnbull out of this bed then he, and the 54 defenestrators, should be the ones lying in it. And if the Libs don’t ditch Malcolm then they will get slaughtered next election, and rightfully so. That, Terry, is what the WA election result tells us.